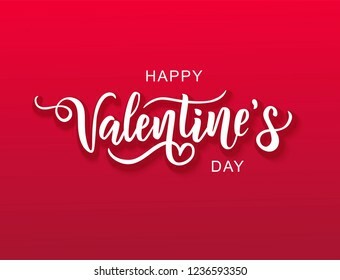 249 place | Vector illustration in rank M-rank: Happy Valentine's day text, hand lettering typography poster on red gradient background. Vector illustration. Romantic quote postcard, card, invitation, banner template.